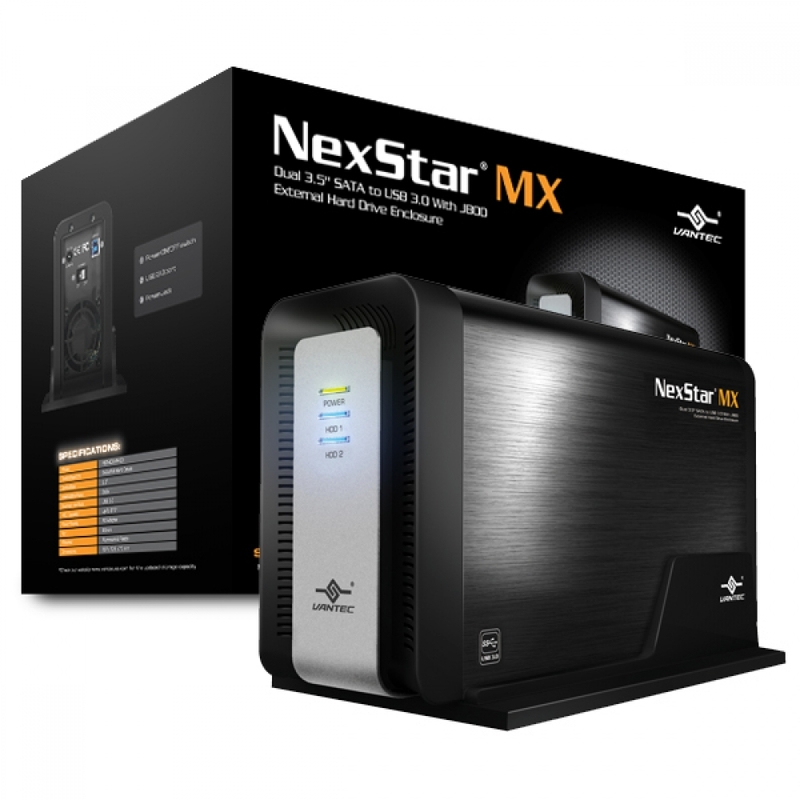 Vantec NexStar® MX SuperSpeed Dual Bay External HDD Enclosure now in the USB 3.0 interface is a quick and simple way to expand storage capacity to your computer. It comes without the hassle of diving inside the PC and messing with all those wires, cables and connections. 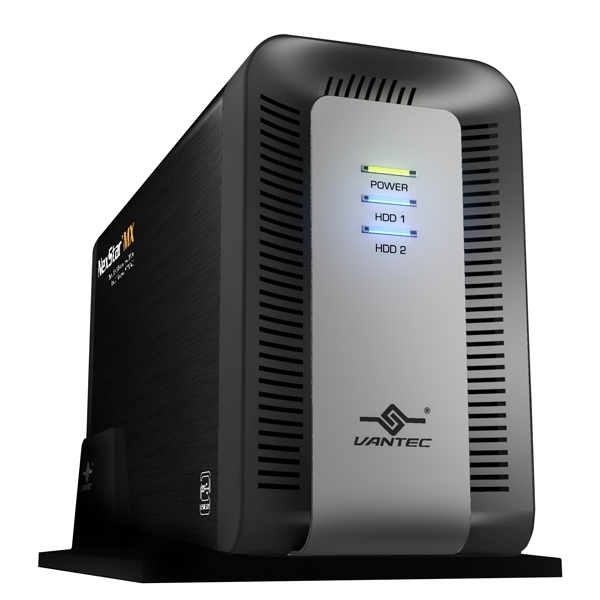 It provides maximum storage with the increased capacity of two spanning hard drives for your precious family photos, music, video, and games. It supports Individual and JBOD modes for effective storage management. The sturdy drive cage protects your hard drive while the aluminum case effectively draws away the heat; the front vents and the rear fan keep your hard drive(s) cool and improve performance. 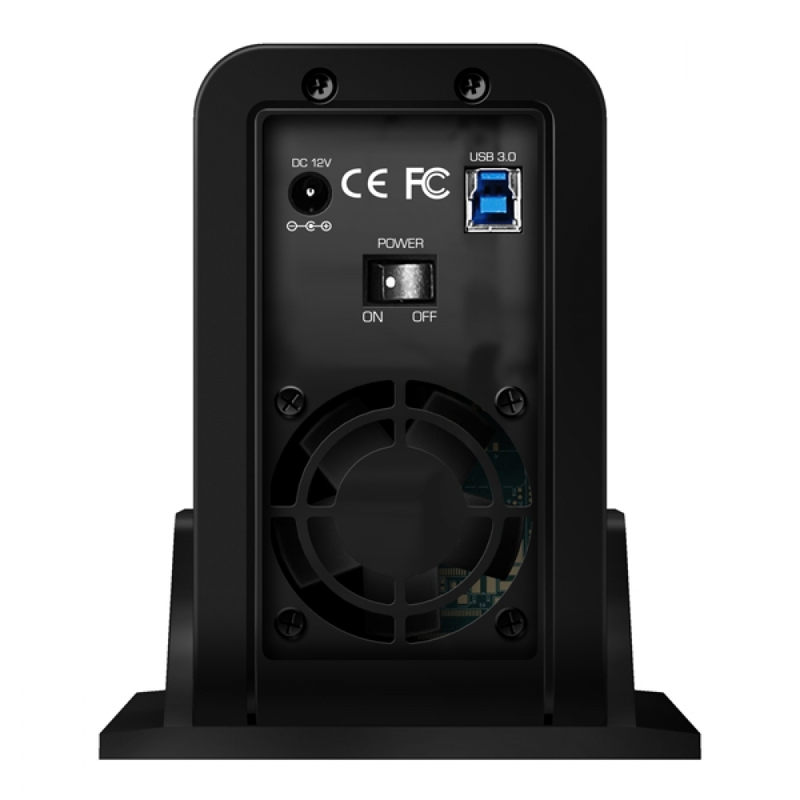 The Vantec NexStar® MX SuperSpeed is a high performance, high capacity, and durable storage solution and lets you store your personal data in an enclosure with style!